When I see a sign like this I can’t help but think that a pair of nice lightweight canvas sneakers might not be the right footwear. As it happens, I was told that I needed steel toed boots for my trip out to Utah. Not being a big fan of the “combat boot” look, I shied away from most of the steel toe options I found. That was, until I ran across the Boulet 8120. The 8120 is a pretty nice looking pair of boots and they have steel toes and steel shanks. Ok, that requirement is met. 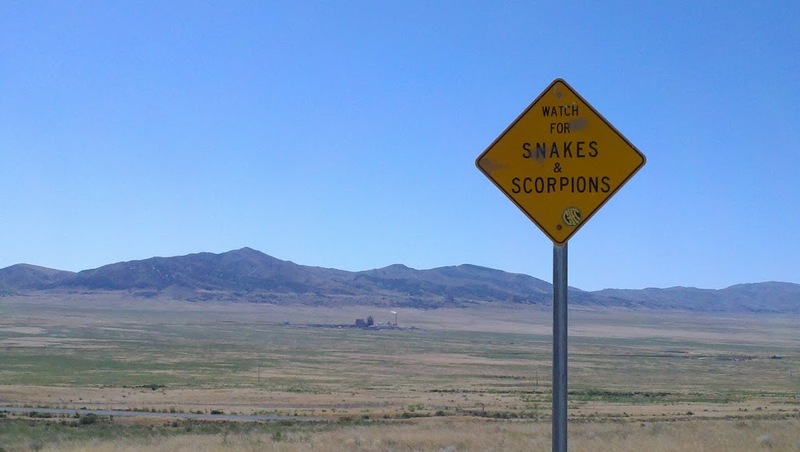 Now, what was this about snakes and scorpions again? Western boots were originally designed for protection. They were also for riding, and still have many of the same traits and the original (such as a heal that’s too tall to be useful), but otherwise the tall heavy leather of the boot was designed to protect against snake bites. The most common locations for a snake bite are hands, feet and ankles. The boots cover the feet and ankles quite nicely and I have no intentions of trying to pet any snakes, so my hands should be far away. The tall chimney of the boot is made of such heavy leather I am pretty sure the boots will perform the task of protecting the ankle quite well. 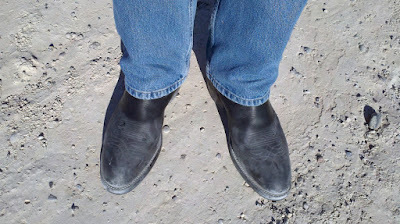 Once shined back up they won’t look so ragged anymore and while I didn’t run into any of the indigenous wildlife on this trip, best to keep the right protection and in this case, the right boots.